The Ministry of Plantation Industries and Commodities (MPIC) has recently announced that Malaysia’s certification scheme for sustainable palm oil will now be made mandatory1,2. The scheme, known as the Malaysian Sustainable Palm Oil (MSPO) was first launched in 2015, based on the MSPO standards (MS2530:2013 series), and provides general principles for the production of sustainable palm oil that covers the 3Ps (People, Planet, Profit) in Malaysia2. 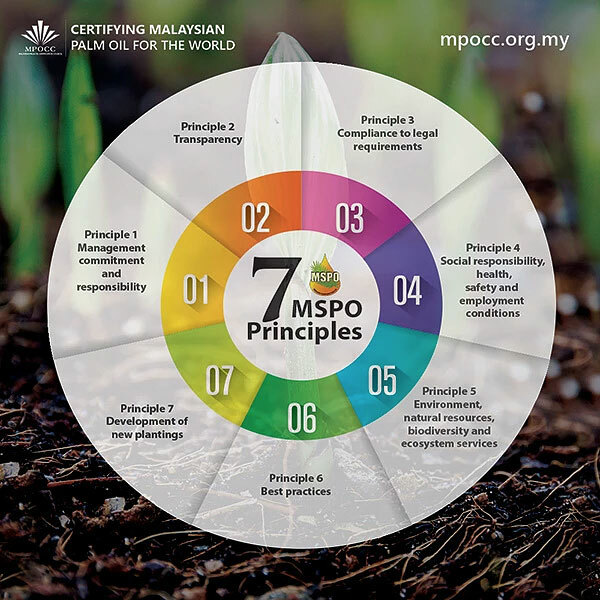 Key sustainability issues faced by the industry, such as environment and biodiversity, best practices and social responsibilities are embedded in MSPO’s seven principles. Before this announcement, MSPO was implemented on a voluntary basis and administered through the Malaysian Palm Oil Certification Council (MPOCC), which is an organisation under MPIC entrusted to promote the development, adoption and implementation of MSPO3. Under the Ministry’s proposed timeline for obtaining MSPO certification, plantation companies that are already Roundtable on Sustainable Palm Oil (RSPO) certified must obtain MSPO certification by 31 December 2018, while companies without RSPO certification will be given more time to obtain the MSPO certification, which is by 30 June 2019. Acknowledging the technical and financial constraints faced by independent and organised smallholders to obtain certification, this group will be given the longest grace period, which is up to 31 December 2019. The Ministry has also announced that financial assistance will be given to smallholders to achieve the MSPO certification4. 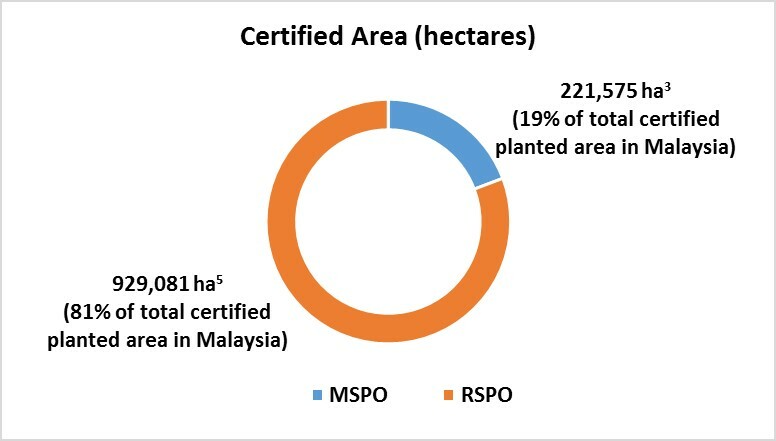 As of January 2017, out of Malaysia’s total planted area of 5.74 million hectares, 221,575 hectares of its total planted areas has been MSPO certified (Chart 1). With these firm targets in place, the Malaysian palm oil industry is gearing up to have 100% of its plantation companies achieve MSPO certification by end 2019. This could also pave the way for better market access for Malaysian palm-based products, as well as a credible and traceable platform for plantation companies to demonstrate their sustainability efforts and good agricultural practices. Note: The total planted area in Malaysia is 5.74 million hectares, out of which 1.15 million hectares are RSPO and MSPO certified. MSPO is one of the certification schemes for sustainable palm oil that is currently available in Malaysia. Other major certification schemes include RSPO and International Sustainability and Carbon Certification (ISCC), amongst others.